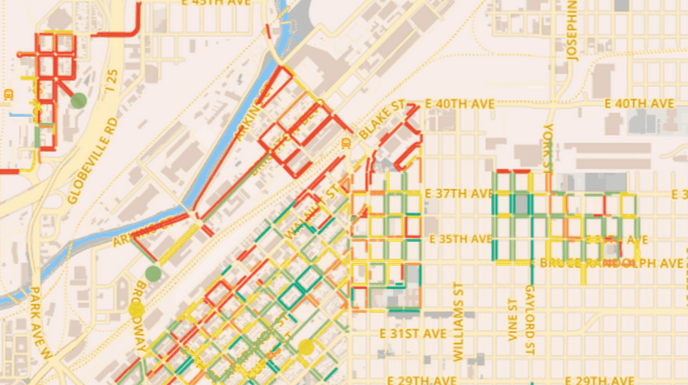 The City and County of Denver doesn’t have a dedicated funding stream for building and maintaining sidewalks, but WalkScope, a crowdsourcing tool that maps and rates Denver’s walking infrastructure, could be the springboard the city needs to change that. WalkScope allows anyone with access to a smart phone or computer to map the quality of sidewalks and intersections around the city. 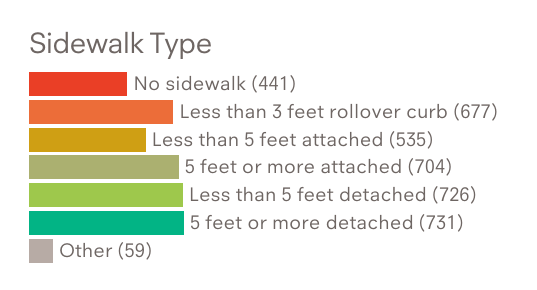 Users can share objective observations, like the sidewalk’s width or whether one even exists, as well as subjective information like how safe an area feels. 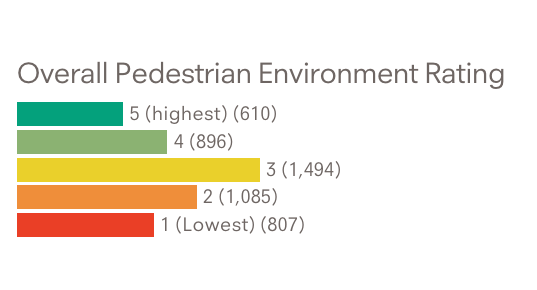 Users have filed about 3,900 sidewalk reports, and 66 percent classify the pedestrian environment as mediocre or worse, according to the website. There’s a lot more data to collect. It’s as easy to use as Google Maps, and if residents map the whole city, the Department of Public Works would know where to focus its attention. Jill Locantore of WalkDenver hopes a comprehensive view of the walkable (and unwalkable) landscape will give city officials the springboard they need to come up with a badly needed permanent funding source for pedestrian infrastructure. Currently Denver’s code puts the onus on property owners to maintain sidewalks. It has for more than a century. Over the last 125 years, the sidewalk system has been built and paid for by individual property owners, one project at a time. It is estimated to be a $500 million dollar transportation asset which, thus far, the City has not played a direct role in building or maintaining. The policy leads to problems in built-out, low-income neighborhoods. They often have the crummiest sidewalks, or none at all. (WalkScope data reflect that pattern.) That’s not to say DPW doesn’t build and maintain sidewalks when the budget affords it, but it’s technically not the city’s responsibility — even though sidewalks are the public right of way. That’s what happened in Los Angeles. The city once had a policy like Denver’s, but the government, with federal funding in hand, took over responsibility. When that money dried up, so did sidewalk maintenance, and this year LA was shamed — legally — into paying $1.3 billion for upgrades. DPW has begun to use WalkScope, which was developed last year by WalkDenver and PlaceMatters, with help from the Denver Regional Council of Governments. It’s a start. But the best way to tangibly create safe sidewalks for everyone is to combine the growing amount of data with a funding mechanism. One option is to revive an old idea from DPW that never got off the ground. The 50-year initiative would’ve charged owners a fee based on the amount of space in front of their property, and add it to a dedicated pedestrian infrastructure fund. That was proposed in 2002. Thirteen years later, there’s still no plan.